The urgent necessity for this academic analysis is that the direct effect of these Rules are expected to be felt from 01 July, 2016 to the detriment of all advocates in this country, especially those who are actually sincere and loyal to this profession. 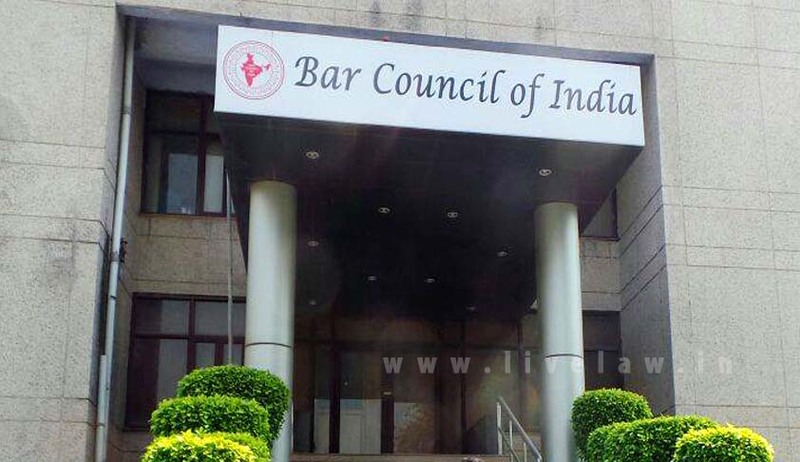 The Bar Council of India Certificate and Place of Practice (Verification) Rules, 2015 states that there are a number of different problems that are allegedly faced by our legal community; and as a measure to counter all those different alleged problems, the Bar Council of India (BCI) offers a single-point solution and that solution is that every advocate obtain something called the Certificate of Practice (COP). The COP has been made mandatory; which means that there will be negative consequences if an advocate does not obtain the COP. In order to apply for the COP, one has to pay a process fee (Rs.100/- to Rs.400/-), while submitting alongside, a declaration, two passport size photographs and also another certificate from one’s Bar Association (BA) or State Bar Council (SBC), certifying that he/she has not left law practice. After submitting the application with all these supporting documents, the application will be judged by a body called the Administrative Committee; which means that the application can either get allowed or dismissed. Even if the application gets allowed, the COP issued will be valid only for a limited period of 5 years; which means that it has to be renewed every 5 years by repaying the process fee and resubmitting all the supporting documents. If one does not apply for the COP or renew it promptly, he/she will be listed as a defaulting advocating. Even after being listed as a defaulting advocate, if steps are are not taken to comply with these rules, he/she will be listed as a non-practicing advocate. And the effect of being listed as a non-practicing advocates is that he/she will be barred from appearing in any Court of law. Various welfare schemes of advocates are being enjoyed by those who have left the profession. There are many cases of rigging in the polls and allegations of bogus voting. A number of fake persons are indulging in legal practice, cheating the Courts and the litigants. Non-practicing advocates are sometimes being used by some office-bearers/candidates only for their votes. So, what exactly is the problem with these Rules ? How does any of this going to affect us detrimentally ? 1. These Rules effectively create two new classes of advocates; practicing and non-practicing advocate, and it also imposes some sort of discrimination between the two. The explanation under Rule 14.6 states that an advocate shall be deemed to be in practice if he is able to establish that he has appeared in any Court of Law or has filed Vakalatnama atleast in one case before any forum in a year before these Rules come into force. This explanation effectively declares that only advocates who have a litigious practice are real practicing advocates and thus completely sidelines all the other advocates who could be indulging in non-litigious practice like being an in-house corporate lawyer or involved exclusively in conveyancing or due diligence, etc. 2. There is a severe disconnect between reality and what the COP seeks to certify. For example, you could be an advocate who files a fresh vakalat every single working day of the year and you could be a familiar face with the judges, staff of the registry and even members of the SBC but still you will be listed as a non-practicing advocate and be barred from appearing in any Court of law if you fail to obtain this certificate. On the flip side, one could be an advocate who never goes to Court or never does anything resembling a practicing advocate but still if he could manage to get his name onto atleast one vakalat in a year, he would be considered as a practicing advocate. 3. The application process by itself is very cumbersome and almost quite harassing to all the practicing advocates. First, we are asked to pay up money in the name of process fee. If it is the intention of the BCI to identify all the fake persons, then how is it reasonable to compel payment from all the non-fake persons of our legal fraternity? Second, if we could already obtain a certificate from a Member of our SBC that we have not left law practice (as provided under clause iv of Rule 8.4), what is the necessity to compel us to obtain yet another certificate (the COP) from the Administrative Committee comprised of the very same SBC Members, which would be pretty much certify the very same fact. 4. There is no nexus between the object of the Rules and the Rules themselves. For example, the BCI repeatedly states in the statement of objects and reasons that the SBCs and majority of the BAs are already not complying with already existing mandatory provisions and that their records are not up-to-date; the BCI also states that office-bearers of BAs knowingly infuse such fake people into the profession with a motive to get their votes in the elections. The same BCI that endorsed the above views, simultaneously supports enactment of Rules 22.1 and 22.2 which imposes additional obligations on the very same SBCs and BAs to create and maintain new records of advocates that would register under these Rules and expects them to function now with ever more efficiency. The same BCI that endorsed the above views, simultaneously supports enactment of clause iv of Rule 8.4 and expects the certificates being issued to be free from any malpractice or malignancy and expects non-abuse of the implied power to refuse issuing such a certificate to any applicant without reason. It is the already-busy advocates who are forced to spend more money, time and energy than they necessarily have to, to prove something they do not have to, but the Rules do not substantiate what benefits such advocates get from obtaining this COP, or simply put, how does any of our professional lives become any better by obtaining this certificate ? Therefore, as a conclusion to this analysis, it can be said that, even if you are a person who is not interested in any of the political aspects of our profession such as the Bar Council or Bar Association elections; and even if you are a person who is very humble and does not want to bother anyone and simply wants to carry on with his or her profession in peace, these Rules will still come knocking on your door and take away your right to practice, unless to forcibly step out of your own way and incur compulsory monetary and momentary loss. And for that reason, these Rules are quite arbitrary in nature. It is disheartening to know that the same BCI which is supposed to be the one protecting the advocates and safeguarding our right to practice is the one to take that right away, without due cause. Nirmaleswar Thirunavukarasu is a Lawyer.